In Alaska, protections and rights for the LGBTQIA+ community do not cover housing or employment discrimination and continue to face challenges on ballot initiatives. This creates a unique challenge. LGBTQIA+-friendly rehabs are specifically sensitive to the needs and concerns of the community while providing the necessary addiction treatment. LGBTQIA+ persons also called sexual minorities, who need drug and alcohol rehab require the same medical and therapeutic care as straight persons, but the specific differences found in an LGBTQIA+-friendly rehab are important to many. The LGBTQIA+ community is one of the most vulnerable to substance abuse for myriad reasons, from the stress of coming out to loved ones to social stigmas and denial of human and civil rights. LGBTQIA+ individuals are also more susceptible to mental health illnesses such as anxiety and generalized anxiety disorder. In addition to a higher risk of mental health illnesses and substance abuse, the LGBTQIA+ community is also at a higher risk of suicide. LGBTQIA+ rehab centers are sensitive to these increased vulnerabilities, which allow professionals at these programs to identify and treat high-risk individuals without risking the stigma of isolation. Although Alaska continues to allow many discriminations against the LGBTQIA+ community, addiction rehabs and treatment are available throughout the country and in states with extensive protections for the community. 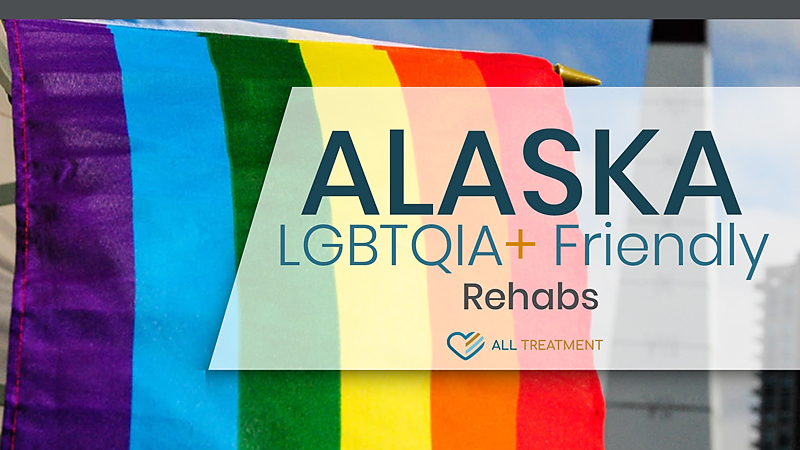 While it may be difficult to find specifically LGBTQIA+ drug rehab programs in Alaska, many treatment centers are sensitive to the needs of sexual minorities and they may be publicly funded or privately owned. Before choosing a drug rehab, it is important to ask questions about the degree to which the program is LGBTQIA+-sensitive and determine whether the rehab would be of benefit. It can be detrimental to recovery for a sexual minority to experience more discrimination and isolation in an addiction rehab. LGBTQIA+-friendly rehabs ensure a sense of dignity and pride for their populations by remaining attentive to individual needs and staff being sensitive to the potential of heightened vulnerabilities.